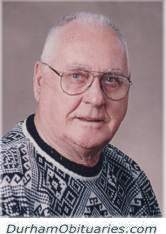 STEPHENSON, (John) Ralph - It is with heavy hearts that the family of Ralph Stephenson share his passing, surrounded by family at Lakeridge Health Oshawa on Saturday, April 20, 2019 at the age of 77. A former TTC CIS foreman, Ralph is remembered as a gentle, warm and amazing man, admired and loved by all who knew him. His love of family, Killbear camping, and Florida friendships and sunshine will be cherished memories for all. Son of the late Bob and Dorothy Tustin, Ralph leaves behind a legacy of family. 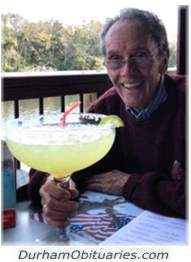 BURCH, William Charles - Peacefully with family by his side on Friday April 19th, 2019 at Lakeridge Health Oshawa, at the age of 81. Beloved husband of the late Lorraine for 54 years. Loving father of Ken Burch and his wife Linda Corbitt, Robert and his wife Kathy Burch, Bill and his wife Kimm Burch, Christine and her husband Richard Godin. Passed away peacefully at Lakeridge Health Oshawa, with family by his side on Friday April 19, 2019 in his 88th year. Jack will be greatly missed by his loving wife, Marilyn (nee Leask) of 61 years. Loving father of Patti (Brad), Shari (Kerry), and Jim (Kathy). Dear grandfather to David, Doug, Deanna, Ryan, Samantha, Jesse and Robbie. 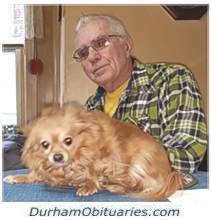 Passed away in Whitby on Friday April 19th, 2019 at the age of 90. Loved husband of Mary for nearly 59 years. Loving father of Rob and his wife Nancy of Whitby. Grandfather of Stephen and Sarah. 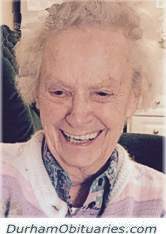 STEEPER, Elizabeth Anne - Passed away with her family by her side on Friday April 19, 2019 at the age of 90. Predeceased by her husband Rev. 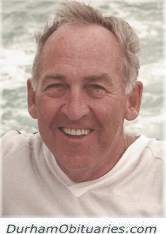 William F. Steeper (2008). HUNTER, Kenneth 'Ross' Peacefully on Thursday, April 18th, 2019 at Lakeridge Oshawa Hospital with his family by his side at the age of 90. Loving husband of the late Adeline (nee Alsop). Beloved dad of Linda (Ron Mollon) and Marlene (Colin Moon). Cherished grandpa to Trevor Mollon (Lisa), Tracy (David Anthony), and Tara (Michael Armstrong). Devoted great grandpa to Zachary, Benjamin, and Samuel Mollon, Rayel and Jesse Anthony, Cheyenne and Shania Ball, Miranda and Hunter Armstrong. REISNER, Maria - Passed away peacefully on Thursday April 18, 2019 at Lakeridge Health Bowmanville in her 94th year. Cherished mother of Gerda, and David (Judy). Devoted grandmother of Christopher (Morgan) and Cory (Elyse), and great grandmother of Brooklin, Kaleb, Aubrey, Chase, Adrianna, Isla, and Lilly. Maria will be deeply missed by her many friends, including Ella Hrdlicka, Bev, and Loretta and Don Barsh. Husband to Sue, Dad to Tim (Felicia) and Caitlin, Brother to Eileen, Maureen (John), Molly (Owen), Michael (Kathie), and the late D’Arcy (Lucy). Uncle to Kellie, Ryan, James, Kathleen, and Shannon. Friend of many. Terry left us on April 18, after an almost two year battle with metastatic melanoma. 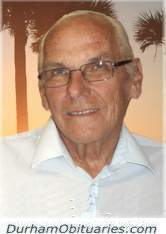 BERENTSCHOT, Henk - In his 81st year. Suddenly, yet peacefully at home on Friday April 19, 2019. Surrounded by love, Cliff passed away peacefully at home after a long and unrelenting battle with ALS. 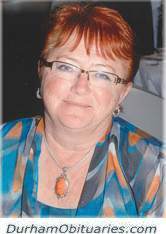 FOSTER, Joanne Louise (nee Pickering) - It is with great sadness we announce that on Wednesday, April, 17, 2019, Joanne passed away while surrounded by her family. She battled cancer for the last two years and did so with no retreat. Joanne is survived by her loving husband Michael of 46 years and their three children, daughters Shannon (Rudy), Robyn (Ryan) and son Matthew (Amanda). Being a Nana for the last few years to her special grandsons Hudson and Benjamin filled her heart with such joy. GIBSON, David Robert Gibson - Passed away at Lakeridge Health Oshawa on Wednesday April 17, 2019 at the age of 60. Dear brother of Mark (Joanne) and Ron (Lauren). 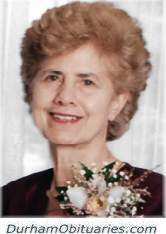 WARDELL, Elizabeth Joan Clair Wardell - It is with great sadness that we announce Elizabeth passed away peacefully on April 17, 2019, after a courageous battle with cancer, at the age of 79. Beloved mother of Laura Lea (Stewart). Passed away at 78 years old on April 17th, 2019 surrounded by her loving family in Pickering, Ontario. Predeceased by her parents Hubert and Effie Laundry. A devoted wife to her husband Ola and wonderful mother to Janice, Diann Sharp (Robert) and ValerieTrimm. Peacefully surrounded by family on Wednesday April 17, 2017 at Ross Memorial Hospital, Lindsay in his 92nd year. 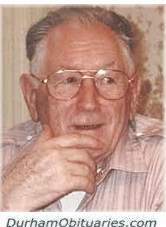 Archie, beloved husband of the late Bernice “Bud” Dewey (nee Pickering) (2013). Much loved father of Suzanne (Paul Martin) and Danny Dewey (Cathy). Proud grandfather of David (Melissa), Lori (Dan), and Derek (Ashley). Great-grandfather of Katy, Cameron, Cole, Drake, Lyla, Kaitlin and Thomas. SGRO, Maria - Passed away peacefully surrounded by the love of her family on April 17th 2019 at Lakeridge Health Ajax. Beloved wife of Raffaele for 65 years. Loving mother of Dominic (Linda), Rose (Andrew), Nancy, and Rita. Cherished Nonna of Rob (Jamie), Lindsay (Paul), Cailyn, Jaidyn, Mary, Grace, and biz Nonna of Madison, Wyatt, and Abby. Dear sister of Theresa, Giovanna, Aldo, Tony, and the late Tommaso. EASTON, Shirley - Shirley passed away very peacefully on April 17, 2019, in her 100th year. She was a dedicated teacher for 42 years (21 years in Ajax). McMASTER, Ruby Scallon - Peacefully at Wynfield Long Term Care in Oshawa on Tuesday April 16th, 2019. Ruby in her 99th year. Loving wife of the late Harry James McMaster. 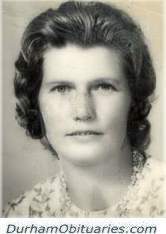 Beloved mother of the late David (Maureen) McMaster and Linda McMaster.